St Thomas is a beautiful Caribbean island that is a favorite with honeymooners because of its sandy beaches, great activities and a diverse choice of places to stay. Check into a room with a view of the water, relax by the pool, go snorkeling, diving and savor delicious island cuisine on your romantic trip. 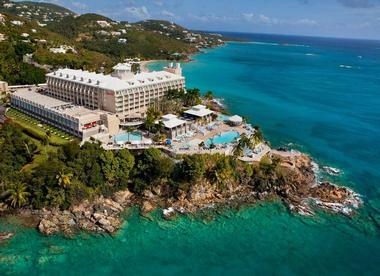 Here are some of the best St Thomas honeymoon ideas. Sprawled across fifteen acres over a protected hillside, the Point Pleasantresort is truly a sight to behold. The resort has views over the Caribbean Sea, and visitors will be able to take in all the beauty of the U.S Virgin Islands. There are two waterfront beaches at Point Pleasant, and guests can enjoy ferry rides, swimming, and plenty of exciting water sports. There are also dining options aplenty, some of which offer stunning vistas over the water, and guests can enjoy breakfast in their individual villas each morning. The villas are built to give guests the upmost privacy at Point Pleasant as well as providing them with all the latest amenities and comforts during their stay. Come to this private resort in a secluded part of St Thomas if you are in search of luxurious suites and white sand private beaches. At Secret Harbour Beach Resort, guests will also find a marine sanctuary with clear waters that are perfect for some relaxing swimming or snorkeling. The suites at the Secret Harbour Resort are all individually located for greater privacy and come in a range of sizes and styles, each just seconds away from the beach so that guests can make the most of the seaside activities on offer here. There are also tennis courts, swimming pools, and island excursions available to ensure that guests will never be short of something to do. The spectacular Villa Marbella stretches over an acre of land, much of which is made up of lush tropical gardens that are perfect for guests to wander through and admire the local plants and wildlife. The villa boasts views over Frenchman’s Bay and benefits from balmy Caribbean winds and breathtaking vistas to the south. Guests who stay here can enjoy a secluded and private experience at the villa, and they can also take advantage of its convenient location near beaches, dining venues, and shopping options. Should you prefer not to venture too far, you can enjoy the legendary sunsets at the villa as well as the spacious rooms that have separate dining and sleeping areas. 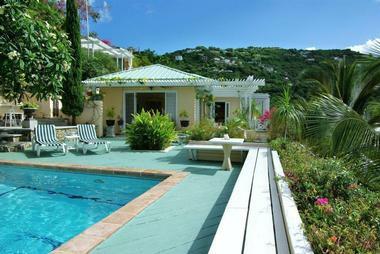 If you are looking for a tropical paradise hideaway in St. Thomas then look no further than the Bellavista Bed & Breakfast. Here you will find cozy rooms that come with a range of amenities and friendly service that is sure to make you feel right at home. The Bellavista Bed &Breakfast is off the beaten track and as such offers guests the chance to get away from it all and enjoy a peaceful and laidback holiday in a secluded setting. The Bellavista prides itself on its attention to detail, and it boasts a full breakfast each morning as well as idyllic gardens on site for guests to admire. 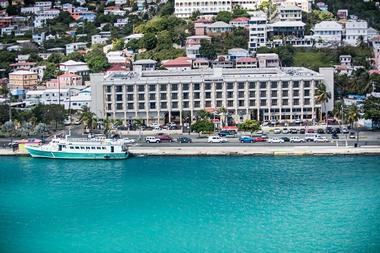 Located next to the Charlotte Amalie Harbor and affording stunning views to guests, the Windward Passage Hotel is close to all the action in St. Thomas, including shopping, dining, and nightlife spots. The hotel is near the Magens Bay Beach, and it is easily accessible via complimentary transportation from Windward Passage, which is also conveniently situated near a host of premium attractions in St. Thomas. These include underwater theme parks such as Coral World, cable cars, and local historical sites such as forts and synagogues. At the actual hotel itself, guests can expect all the latest amenities in recently renovated rooms, and the establishment comes complete with pools, spas, and a fitness center on site. Bluebeard's Castle Resort offers guests scenic views across the water as you take in the tropical Caribbean sunsets of stunning St. Thomas. Rooms at the resort come with private balconies, and there are swimming pools and hot tubs for guests who want to relax and soak up the atmosphere. If you fancy a touch of sport, then there are tennis courts and a fitness center on site as well. 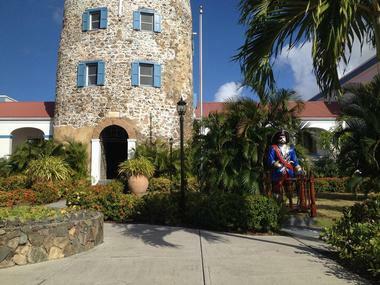 Bluebeard's Castle Resort is ideally located so that guests can make the most of visiting St. Thomas, and there are numerous excursions on offer that include cultural events such as local events and festivals. Set in a stunning location overlooking Lindbergh Bay, the Lindbergh Bay Hotel and Villas offers guests the choice of a vibrant hotel or a more secluded villa setting, all set against a gorgeous Caribbean backdrop. The hotel is ideally situated amongst picturesque tropical gardens, and there are guest rooms to suit all budgets and styles, from cozy cottages to larger private villas with views over the glittering sea. 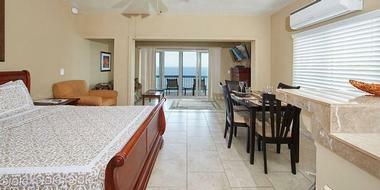 Whichever room you choose, expect all the latest amenities as well as dining options on the beach. The dining establishments in the area make the most of local produce and the stunning panoramic views of Lindbergh Bay. For guests searching for a private beachside setting, look no further than Flamboyan on the Bay Resort & Villas, which happens to be located on a hillside that looks over the iconic Magens Bay area as well as the famous Mahogany Run Golf Course. The resort is located outside of town, which means that visitors can enjoy a relaxing time in a secluded location, although many local attractions are also close by for those who want to take in some of the sights. The resort has a wealth of dining options on site that can be enjoyed poolside, and there are also tennis courts, spas, and Jacuzzis available for those looking to relax at the end of the day. 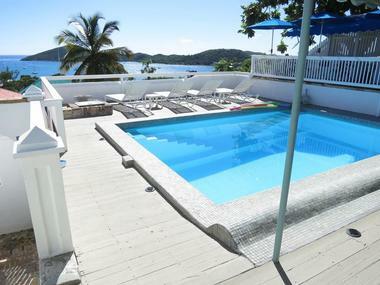 For guests who want a more intimate hotel experience in St. Thomas, they can stay at the At Home in the Tropics Bed &Breakfast, which is found in the Kings Quarter of the town of Charlotte Amalie. This bed and breakfast has views over the harbor from its vantage point on Blackbeard's Hill, and guests can see as far as the Caribbean Sea that is just past the Charlotte Amalie Harbour. Something of a historical gem in its own right, this inn used to be the former barracks of the guard of the Danish Governor during the colonial period, and as such it is steeped in period elegance and charm. Frenchman’s Reef & Morning Star Beach Resort offers a premium hotel experience in its idyllic location amidst the splendor of the beautiful U. S Virgin Islands. The resort was built to reflect the vibrant and colorful surroundings of the Caribbean and has essential amenities to ensure a comfortable and luxurious stay. The rooms at the resort are based on tropical gardens, and there is also a stunning beachfront that is perfect for a morning walk along the pristine white sand. For more adventurous guests, there are activities such as paddle boarding available or, for those who prefer, they can stick to something more serene and spent time in the infinity pool. The Mafolie Hotel is known for having a mix of luxury accommodation, excellent service, and fine dining on site, leading to it being hailed as one of the hidden gems in the St. Thomas area. 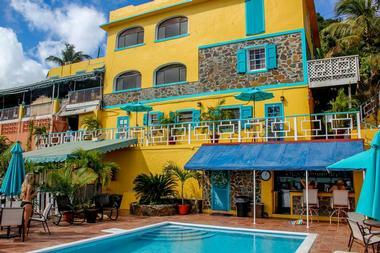 The Mafolie Hotel is also located in a central and convenient location, meaning guests can easily explore all that St. Thomas has to offer and take advantage of shopping, nightlife, and eclectic dining opportunities on their doorstep. For guests who want to spend some time lazing on a tropical beach, they can head to nearby Magens Bay, which has a range of water sports to enjoy. With a mix of cozy villas and a main building with featured suites, Paradise Cove Oceanfront Villas & Suites has something for everyone, and everything is located near powdery beaches and glittering seas. 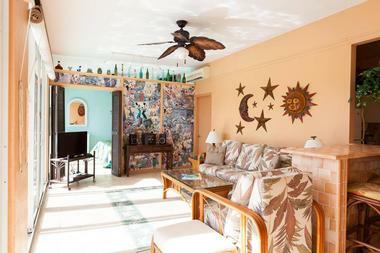 For smaller groups there are quaint studios, or guests can choose larger villas that feature private balcony areas, some of which boast views that look out to where the sky meets the ocean. A number of rooms also feature separate living areas with kitchen amenities in order to make guests feel as if they are truly staying in a home away from home. Guests can also expect to find a swimming pool, a teahouse, and nature trails over the cliffs for those who are keen on exploring the local habitat. Something of a rarity, Harbour Beach Villas is located next to the Secret Harbor Marine Reserve and Wildlife Sanctuary, meaning that it is perfect for guests who are also animal lovers. Harbour Beach Villas features sweeping views over Secret Harbour, which is perfect for those who want to take in the Caribbean sunsets, and guests can visit the beach located just next to the villas for a spot of relaxation on the sand. For those who like water sports, paddle boarding, diving, sailing, snorkeling, and swimming are all premium attractions to be enjoyed in the sparkling waters of the picturesque harbor. 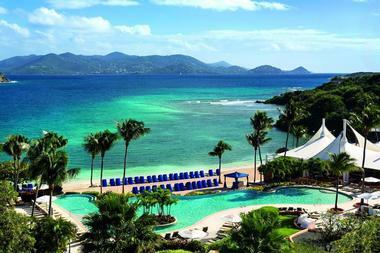 At the Ritz-Carlton St. Thomas, expect azure skies, verdant landscapes, and dainty islands dotting the horizon. The focus at the Ritz-Carlton is on luxury and comfort for all guests, and this hotel and resort aims to impart some of the charm and culture of the Caribbean, making it one of the premium spots for honeymooners in the U.S Virgin Islands. Aside from palatial rooms and suites that include private balconies, guests can also expect a range of dining options along the seafront. 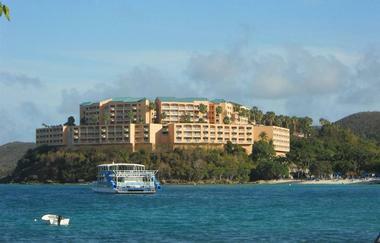 There is also a great Aquatic Center for those who like water sports, as well as sailing options and cruises. 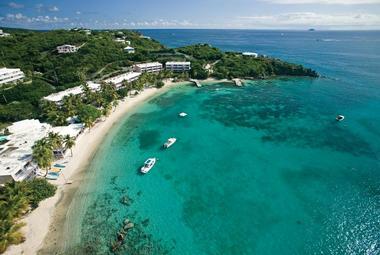 For those looking for a relaxing and laidback vacation in the sun, Bolongo Bay Beach Resort may be the perfect place. The resort is nestled in a private cove area of the picturesque Bolongo Bay, and it prides itself on excellent customer service and friendly local staff who are on hand to make sure guests have a memorable vacation. The resort has a mix of rooms with beachfront views as well as rooms for those looking to travel on a budget, so whatever your requirements there is something to suit your needs. The Sugar Bay Resort is the perfect place to come for those who want to relax on a white sandy beach or by one of the resort's pools and take in the gorgeous Caribbean. The Sugar Bay Resort & Spa boasts an eclectic range of water sports for visitors to try, and there are also plenty of excursions to other areas of St.Thomas for those who are feeling adventurous. The resort prides itself on its luxurious accommodation options and fine dining on site, and in addition to all of this, guests can also enjoy the resort's famous spa treatments to help them unwind. 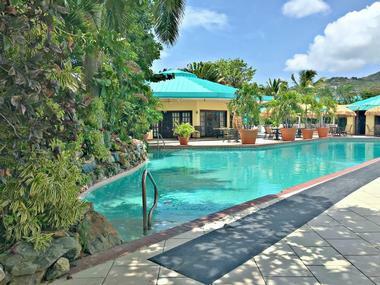 If you want to find a paradise hideaway in St. Thomas, then look no further than Pavilions and Pools Villa Hotel, a venue well known for its secluded location. The swimming pool suites from which the hotel takes its name are a point of interest at Pavilions and Pools Villa Hotel, and they provide a luxurious and unique experience for guests who choose this accommodation option. The villas on site also have separate living and dining areas in order to give them a feeling of a home away from home, and all are set in lush tropical gardens that provide a romantic backdrop for the hotel. All villas have full amenities set amidst gorgeous landscapes, and as there are only 25, guests can be assured of a private and intimate stay. 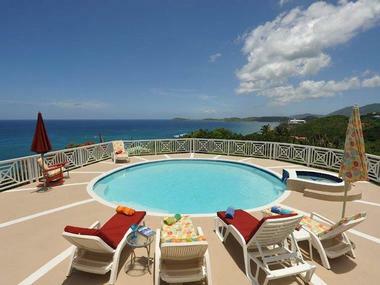 In order to really get away from it all why not consider staying on St. John Island at the Hillcrest Guest House? 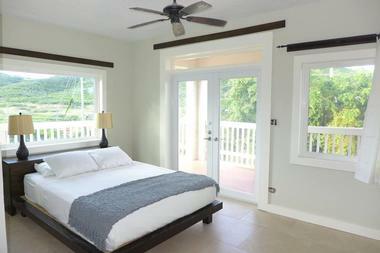 This secluded spot is accessible by ferry from St. Thomas, and it offers a unique island bed and breakfast experience. Hillcrest Guest House provides visitors with splendid views in a welcoming setting, and the establishment is located within a gated community for greater staff privacy and security. The bed and breakfast is also located just seven minutes away from Trunk Bay Beach and nine minutes away from Cinnamon Bay Beach, so guests can easily stroll down to either beach and enjoy some sun and surf. Nestled in the east part of St.Thomas, Two Sandals is a great choice for couples and families alike, and short term rentals are also available for those who fancy staying a little bit longer! The inn is located with views over the harbor in Red Hook, and visitors can watch the amazing sunsets over the Caribbean Sea, which also stretch over to St. John island. The inn is just a short walk from the famous Secret Harbor Beach, meaning that guests can enjoy the seclusion of the inn whilst still being close enough to enjoy some sea and sand. 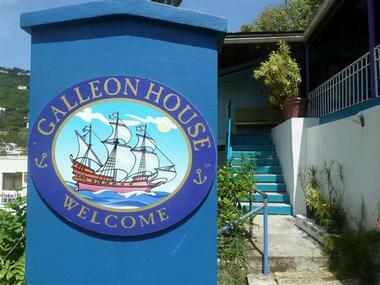 A quirky choice in St. Thomas, the Galleon House Hotel is located on Government Hill, a historical landmark in the city. It originally started as the passion project of its owner Chris Markwood. A long time traveler himself, Markwood wanted to create his own little slice of paradise for visitors coming to St. Thomas, and so the Galleon House Hotel was created! The hotel looks over the town's iconic red roofed houses, and its central location makes it perfect for those who want to explore entertainment, shopping, and dining venues nearby. 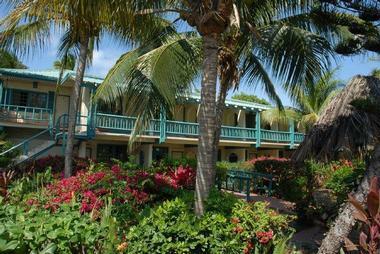 Visitors can choose from a range of rooms, all with views over the delightful harbor and a full selection of amenities. For something a little different, why not consider staying on a yacht instead of at a hotel during your stay in St. Thomas? If you fancy taking to the high seas then the Sailboat Ragamuffin B&B is the perfect place to let you sail away and enjoy the tropical waters of the Caribbean Sea. 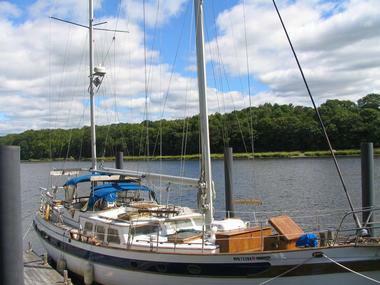 There are two bedrooms aboard this sailboat that measures 62 feet and is fully equipped with all the amenities that guests need to enjoy sailing in paradise. 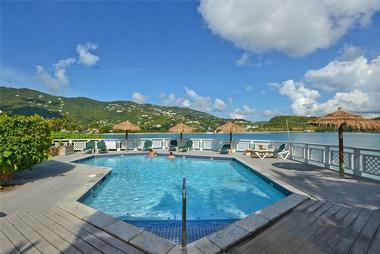 Choices for deck side activities include either relaxing in the sun or diving into the crystal clear waters. Excursions to neighboring beaches and places of interest are also available for intrepid guests. With views over iconic Lindbergh Bay, the Emerald Beach Resort is proud to be one of the most renowned and beautiful beaches in all of St. Thomas. 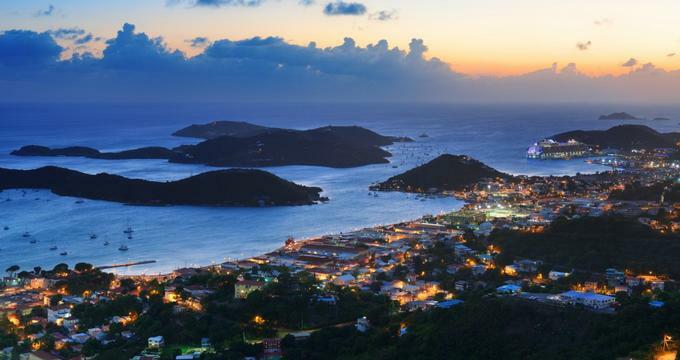 The resort is located near the charming town of Charlotte Amalie, meaning guests can visit local historic attractions as well as enjoy shopping, dining, and nightlife options in the downtown area. At the Emerald Beach Resort itself, guests can spend their days taking in gorgeous vistas over the Caribbean Sea, as well as swimming, snorkeling, and diving. All rooms here have access to the beach as well as breathtaking views, and they are dotted amongst cool gardens, which are perfect for early morning strolls. Nestled on Lindbergh Beach, one of the premium beaches in St. Thomas due to its pristine white sand and crystal clear waters, the Island Beachcomber Hotel is conveniently located near to the town of Charlotte Amalie and is a family operated business with over 50 years of experience. 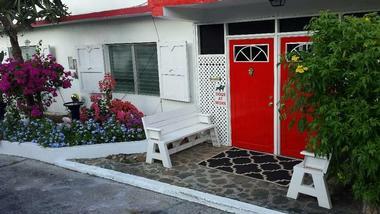 This hotel is casual in style, and it takes just seconds to walk to the beach from the comfort of your room. Gorgeous tropical gardens abound on site and guests can marvel at the local flora and fauna as well as enjoy a relaxed and comfortable stay in the simple yet fully equipped beachfront accommodation.